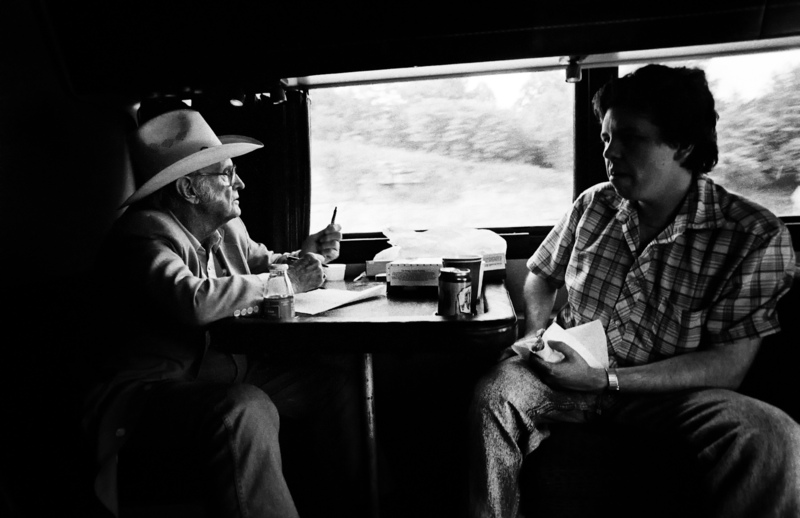 I interviewed Bill Monroe — born 102 years ago today — between his sets at Summerfest in 1981 for The Milwaukee Journal. 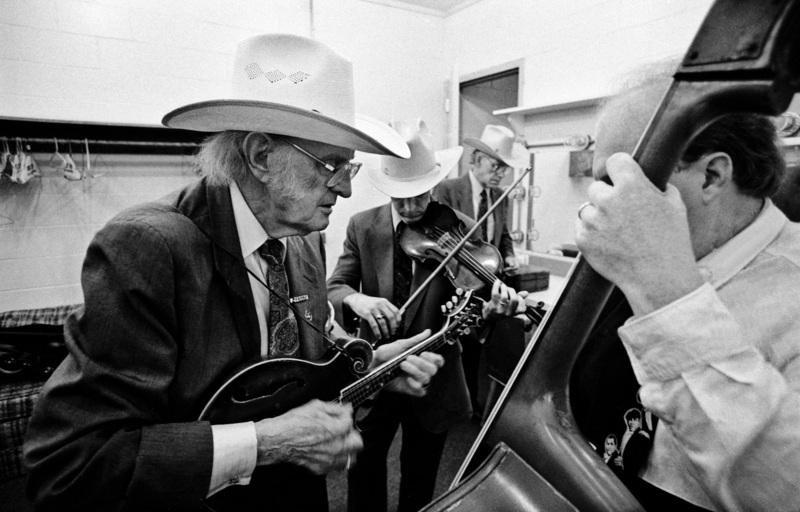 He is credited for inventing bluegrass in 1939 when his Bluegrass Boys auditioned at the Grand Old Opry and caused a high, lonesome stir that has never quite died down, rather coming and going through American culture like the wandering winds of the Appalachian Mountains. I think the interview is all the more extraordinary because Monroe was legendarily resistant to interviews, even for annotators of his own albums. He had once threatened to break his mandolin over the head of a writer if he ever mentioned Monroe’s name in a book. I guess I just got lucky, and because he’s now dead, his threats are history. 1.By 2000 Monroe was dead, but the T-Bone Burnett-produced soundtrack to O Brother, Where Art Thou? 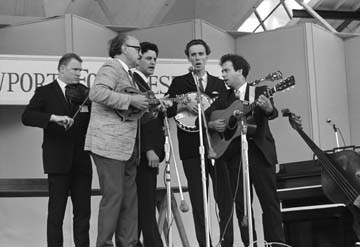 includes, among others, Ralph Stanley and The Stanley Brothers, Alison Krauss, Gillian Welch, Emmylou Harris, John Hartford, James Carter & the Prisoners, The Fairfield Four, Norman Blake and singer-guitarist Dan Tyminski, who dubbed for actor George Clooney, who plays an escaped prisoner and singer for the fictional Soggy Bottom Boys. 2. Thanks to Milwaukee Journal editors Dominique Noth and Steve Byers, who sent me a laudatory note after the article was published.